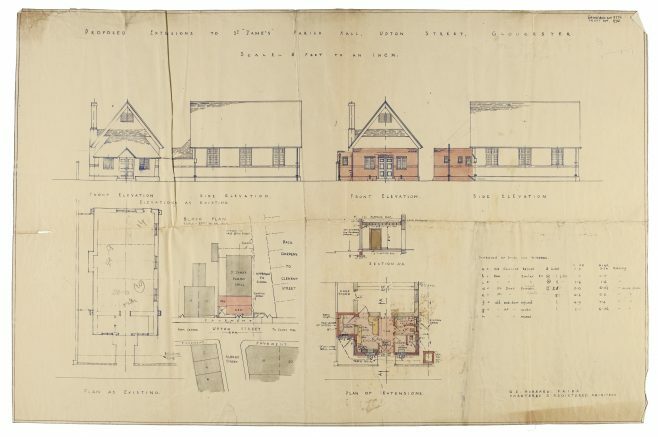 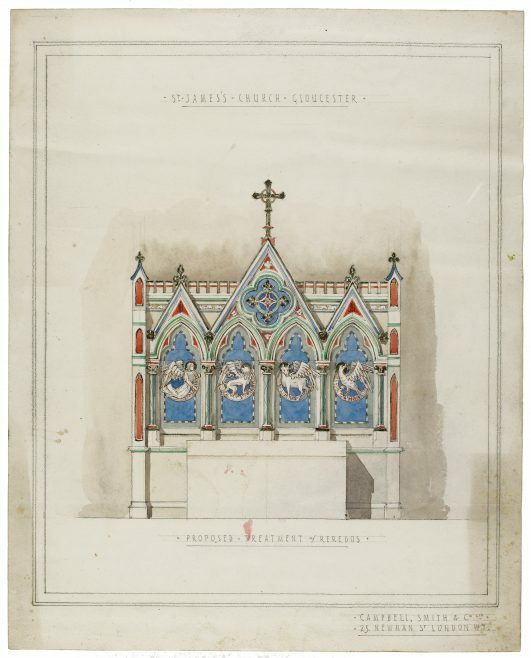 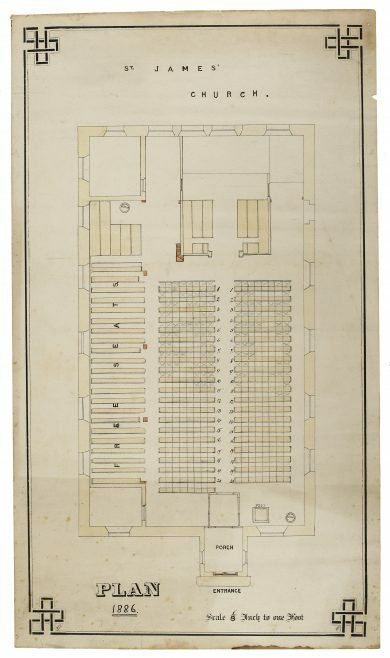 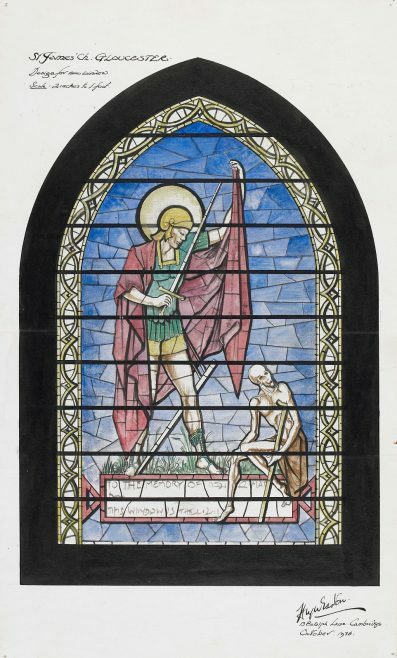 The following images are held at Gloucestershire Archives and depict various internal and external plans, and artistic impressions of the stained glass windows at St James’ Church. 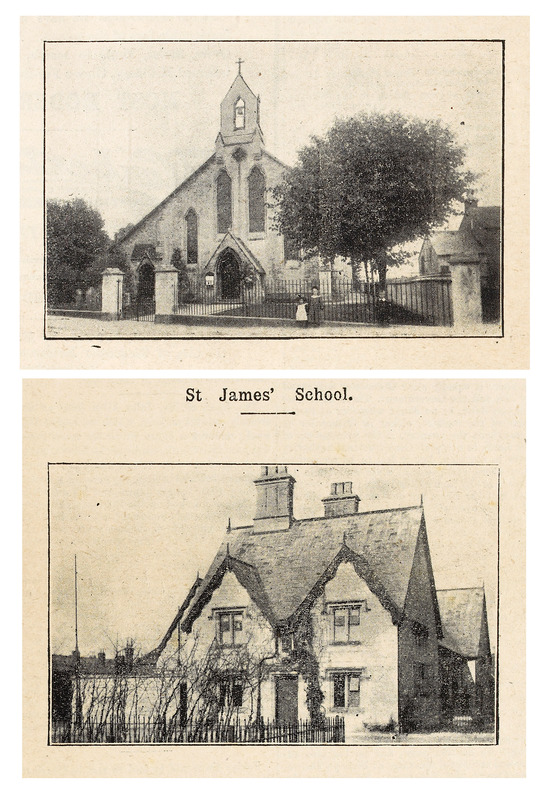 The top two images date from 1886, whilst the bottom image (of both the school and church) dates from 1909. You can view larger versions of the images by clicking on them.